Dog bites or animal attacks often result in lacerations, puncture wounds, and permanent scarring. Repairing the damage can require multiple costly surgeries, including plastic surgery. Dog bites can also cause serious infections, including rabies. If you or a member of your family has been injured in an animal attack, you have a right to recover financial compensation for your medical bills, pain and suffering, and lost income or wages. 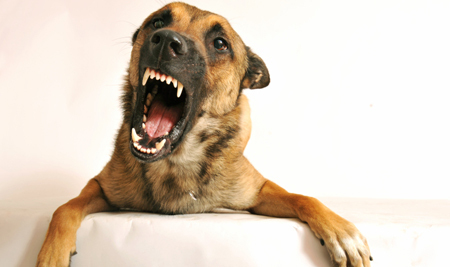 A dog bite case is a matter of what is called “strict liability.” That means that the case does not depend on actual negligence or intent to harm. In other words, if a dog attacks and injures someone, its owner is responsible whether or not they knew the dog was dangerous. Call 911 and make a police report and request a copy. Obtain names and contact information of the owner and any witnesses. If possible, take photographs–of the dog, location, and your injuries. Contact Zweben Law Group before signing any papers or accepting insurance offers. Florida law holds dog owners strictly responsible for the damages their pets cause. This means that a dog owner is automatically responsible for injuries resulting from a bite or attack. If you have been bitten by a dog, you only have to prove your damages. If you were in a public place or legally on the dog owner’s property when the attack occurred, you are entitled to receive damages for your injuries. If a dog or other animal has attacked you, contact Zweben Law Group IMMEDIATELY for your free, no-obligation legal consultation.